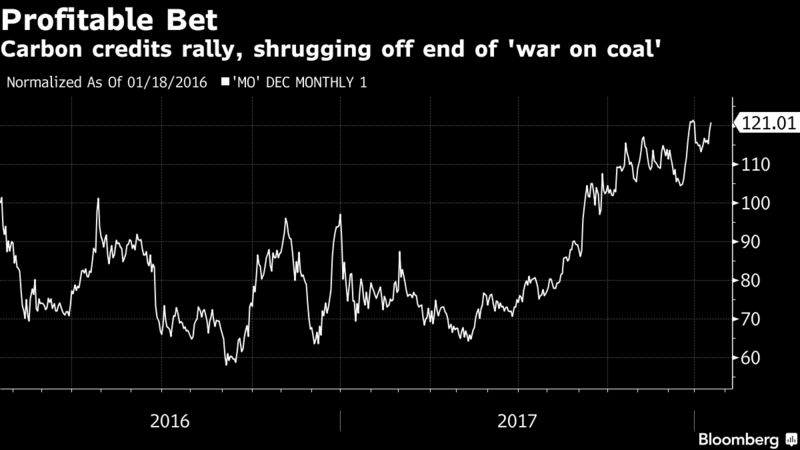 Diamonds are set to slump further, according to a hedge fund whose bet on Marijuana helped make it the world’s best performer in Y 2016. 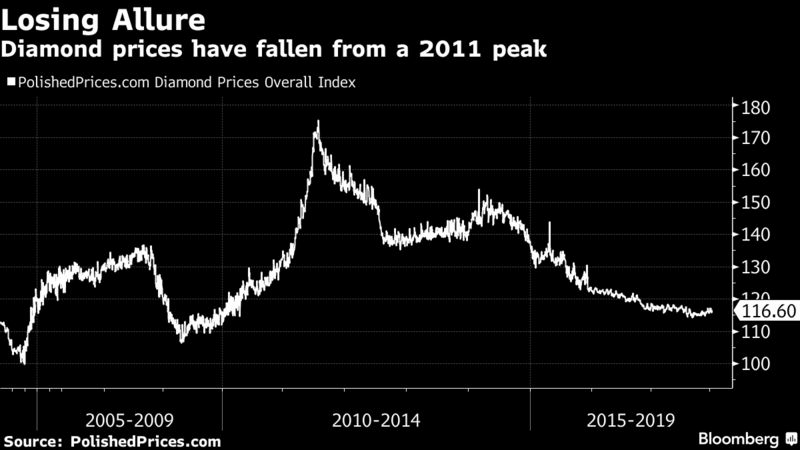 Prices of dDamonds and other precious gems may slump as much as 10% this year as they lose appeal with younger consumers and faces challenges from synthetic alternatives, said a co-Manager the $500-M Tribeca Global Natural Resources Fund. Polished Diamonds was 1 of the worst-performing commodities in Y 2017, with the gem stone’s reputation tarnished by fakes and stones mined in conflict zones. Demand may stagnate for another 10 years unless the industry spends more to lure consumers, Bain & Co. wrote last month in its annual report on the industry. The Tribeca Fund surged 145% in Y 2016, the most of more than 10,000 funds tracked, fueled by bets on North American Marijuana producers that benefited from the legalization of medical and recreational cannabis use. It gained 25% last year, helped by recovering commodity prices and investments in at least 15 fundraising deals that allowed smaller resources companies to bring projects into production. For this year, the fund is Bullish on coal and carbon credits. Chinese production cuts have reduced supplies, boosting metallurgical and thermal coal prices. Free cash flow yields at North American coal producers are still “incredibly attractive,” the note said. Carbon credits rallied about 20% in North America last year on the back of state-backed trading programs. The fund likes chemical producers that tap more environmentally friendly fuel sources. It has invested in a company that uses waste from palm oil production in Indonesia and Malaysia to make cellulosic sugars. New technologies are making biomass cost competitive with petroleum-based chemicals, nudging the industry toward renewable fuels. Investors have flocked to lithium, cobalt, copper, nickel and graphite makers on the prospect of an EV boom. Supplies will remain tight for at least 3 more years. The fund is increasing investments in other metals for battery production, such as rare earths and high-purity manganese, which have worse supply shortfalls. The fund is broadening investments in medical cannabis producers from Canada to Germany, Italy, the US and Australia. With the notion of growing federal opposition to cannabis sativa in the US, the fund is backing companies in states including Massachusetts, New York and Florida where referendums to allow medical use are unlikely to be reversed by federal moves. Tribeca opened the office in the city-state as its investments become more global, and to be closer to its investor base, the e-Mail said.